Five-time Emmy Award winner and 2010 Tony Award nominee Kelsey Grammer, currently starring on Broadway in the Tony Award-winning revival of LA CAGE AUX FOLLES, will be a guest tonight on “The Late Show with David Letterman”. In the New York area, “The Late Show” airs on WCBS-TV Channel 2 at 11:35 PM. Check local listings. 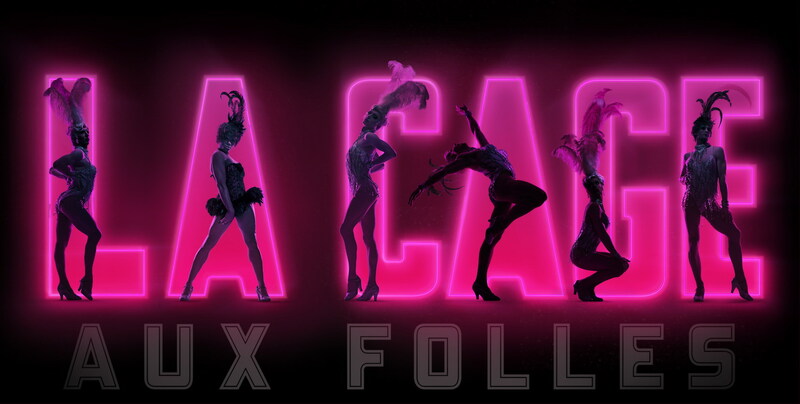 LA CAGE AUX FOLLES made Tony Awards history kast year as the first show to ever win the Tony Award three times for best production. The classic musical comedy won six Tony Awards in 1984, including Best Musical. A Broadway revival won two 2005 Tony Awards including the Best Revival of a Musical prize. LA CAGE won the 2010 Tony Award for Best Revival of a Musical, as well as Tony Awards for Best Actor in a Musical (Douglas Hodge) and Best Director of a Musical (Terry Johnson). LA CAGE is also the winner of three Drama Desk Awards, including Outstanding Revival of a Musical, Outstanding Actor in a Musical (Douglas Hodge) and Outstanding Costume Design (Matthew Wright), four Outer Critics Circle Awards, including Outstanding Revival of a Musical, Outstanding Actor in a Musical (Douglas Hodge), Outstanding Director of a Musical (Terry Johnson) and Outstanding Costume Design (Matthew Wright) and the Drama League Award for Distinguished Revival of a Musical. The production has also been cited on more Best of 2010 lists than any other Broadway musical, including The New York Times, Los Angeles Times, Wall Street Journal, Daily News, Time Magazine, Entertainment Weekly, Time Out New York and NY1. LA CAGE AUX FOLLES currently stars Kelsey Grammer as Georges; Douglas Hodge as Albin; Fred Applegate as M. Dindon/M. Renaud; Alyce Beasley as Mme. Dindon/Mme. Renaud; Chris Hoch as Francis; Elena Shaddow as Anne; A.J. Shively as Jean-Michel; Christine Andreas as Jacqueline; Robin De Jesús as Jacob; Heather Lindell as Colette; Michael Lowney as Etienne and Bruce Winant as Tabarro. Grammer, Hodge and De Jesús will play their final performances on Sunday, February 13. On February 15, LA CAGE will star four-time Tony Award winner Harvey Fierstein as Albin, six-time Emmy Award nominee Jeffrey Tambor as Georges and Tony Award winner Wilson Jermaine Heredia as Jacob. Georges (Kelsey Grammer) is the suave owner of a glitzy drag club on the French Riviera. Partnered romantically with his high-strung star performer, Albin (Douglas Hodge), the pair live a charmed life—until Georges’ son announces his engagement to the daughter of a conservative right-wing politician who’s coming to dinner. Douglas Hodge and Nicholas Cunningham are appearing with the permission of Actors’ Equity Association. The producers gratefully acknowledge Actors’ Equity Association for its assistance to this production. Tickets ($132.50 – $39.50; Premium $251.50; Table Seating $251.50) are on sale through Telecharge.com at 212-239-6200, online at www.telecharge.com/lacage and at the Longacre Theatre box office (220 West 48th Street). Performances are Tuesday through Saturday at 8:00 PM, with matinees Wednesday and Saturday at 2:30 PM, Sunday at 3:00 PM. There’s no snow in St. Tropez! LA CAGE AUX FOLLES is offering patrons a 40% discount on tickets to today’s 2:30 PM and 8 PM performances at the Longacre Theatre (220 West 48th Street). Discounted tickets can be purchased here: http://www.broadwayoffers.com/go.aspx?MD=2001&MC=Lcgna1117. LA CAGE AUX FOLLES made Tony Awards history this year as the first show to ever win the Tony Award three times for best production. The classic musical comedy won six Tony Awards in 1984, including Best Musical. A Broadway revival won two 2005 Tony Awards including the Best Revival of a Musical prize. LA CAGE won the 2010 Tony Award for Best Revival of a Musical, as well as Tony Awards for Best Actor in a Musical (Douglas Hodge) and Best Director of a Musical (Terry Johnson). The production has also been cited as one of the Top 10 productions of 2010 by The New York Times, Los Angeles Times, Time Magazine, Entertainment Weekly, Time Out New York, NY1, The Wall Street Journal and Daily News. LA CAGE AUX FOLLES currently stars Kelsey Grammer as Georges; Douglas Hodge as Albin; Fred Applegate as M. Dindon/M. Renaud; Alyce Beasley as Mme. Dindon/Mme. Renaud; Chris Hoch as Francis; Elena Shaddow as Anne; A.J. Shively as Jean-Michel; Christine Andreas as Jacqueline; Robin De Jesús as Jacob; Heather Lindell as Colette; Michael Lowney as Etienne and Bruce Winant as Tabarro. Beginning February 15, Jeffrey Tambor replaces Kelsey Grammer as Georges, Harvey Fierstein replaces Douglas Hodge as Albin, and Wilson Jermaine Heredia replaces Robin De Jesús as Jacob. Wilson Jermaine Heredia, one of the original stars of Rent and the 1996 Tony Award-winner for Best Featured Actor in a Musical, will join the cast of the Tony Award-winning revival of LA CAGE AUX FOLLES at the Longacre Theatre (220 West 48th Street). Heredia replaces 2010 Tony-nominee Robin De Jesús in the role of Jacob. Heredia will begin performances on Tuesday, February 15, the same evening that four-time Tony Award-winner Harvey Fierstein and six-time Emmy Award nominee Jeffrey Tambor will join the company as Albin and Georges. Current stars five-time Emmy Award-winner Kelsey Grammer, 2010 Tony Award winner Douglas Hodge and 2010 Tony Award nominee Robin De Jesús will play their final performances on Sunday, February 13. Heredia made his Broadway debut in Rent, for which he received the 1996 Tony and Drama Desk Awards for Best Featured Actor in a Musical and an Obie Award. Heredia recreated his role in the original London production of Rent where he garnered an Olivier nomination for Best Featured Actor in a Musical and in the feature film, directed by Chris Columbus. Other credits include: Eli in Eli’s Coming (Vineyard Theatre), Elizabeth Swados’ The New Americans for which he composed the song “No Es Asi,” Popol Vuh at Lincoln Center, Intar and on tour and The Tower (Danny Kaye Theatre). Film: Three Chris’s, The Girl from the Naked Eye, Descent, Nailed, Johnny Was, Flawless and On a Mission from God. Television: “Without a Trace,” “Medium,” “Law and Order SVU,” and “Spin City”. LA CAGE AUX FOLLES currently stars Kelsey Grammer as Georges; Douglas Hodge as Albin; Fred Applegate as M. Dindon/M. Renaud; Alyce Beasley as Mme. Dindon/Mme. Renaud; Chris Hoch as Francis; Elena Shaddow as Anne; A.J. Shively as Jean-Michel; Christine Andreas as Jacqueline; Robin De Jesús as Jacob; Heather Lindell as Colette; Michael Lowney as Etienne and Bill Nolte as Tabarro. Bruce Winant replaces Bill Nolte as Tabarro beginning on Tuesday, January 11. Nolte’s final performance will be Sunday, January 9. OFFERS FRIENDS AND FAMILY 4-PACKS! LA CAGE AUX FOLLES, the winner of three 2010 Tony Awards including Best Revival of a Musical, is offering a special friends and family 4-pack for seats for all performances from January 11 through February 13. Ticket buyers can purchase a minimum of four tickets to the hit Broadway musical for: $220 in the rear mezzanine (savings of over $140), $240 in rear orchestra seats rows P-Q (savings of $160), or $318 for orchestra and front mezzanine (saving of over $210). All prices include $1.50 facility fee. Up to 24 tickets may be purchased with this offer. The friends and family 4-pack is available from www.broadwayoffers.com, by phone at 212-947-8844, or at the Longacre Theatre Box Office (220 West 48th Street). Use the following code to take advantage of this special offer: LCFAM4PK. The production has also been cited as one of the Top 10 productions of 2010 by The New York Times, Los Angeles Times, Time Magazine, Entertainment Weekly and Time Out New York. LA CAGE AUX FOLLES currently stars Kelsey Grammer as Georges; Douglas Hodge as Albin; Fred Applegate as M. Dindon/M. Renaud; Alyce Beasley as Mme. Dindon/Mme. Renaud; Chris Hoch as Francis; Elena Shaddow as Anne; A.J. Shively as Jean-Michel; Christine Andreas as Jacqueline; Robin De Jesús as Jacob; Heather Lindell as Colette; Michael Lowney as Etienne and Bill Nolte as Tabarro. Grammer and Hodge play their final performance as Georges and Albin on Sunday, February 13. Four-time Tony Award-winner Harvey Fierstein and six-time Emmy Award nominee Jeffrey Tambor begin performances as Albin and Georges on Tuesday, February 15. Six-time Emmy Award nominee Jeffrey Tambor (“Arrested Development,” “The Larry Sanders Show”) will make his Broadway musical debut as Georges opposite four-time Tony Award-winner Harvey Fierstein as Albin in the Tony Award-winning revival of LA CAGE AUX FOLLES. Tambor and Fierstein will begin performances on Tuesday, February 15 at the Longacre Theatre (220 West 48th Street). Five-time Emmy Award winner Kelsey Grammer and 2010 Tony Award winner Douglas Hodge, the current stars of LA CAGE, will play their final performance on Sunday, February 13. JOINS THE CAST OF LA CAGE AUX FOLLES AS ALBIN! Four-time Tony Award-winner Harvey Fierstein is returning to Broadway, starring as Albin in the 2010 Tony Award-winning revival of LA CAGE AUX FOLLES. Fierstein won the 1984 Tony Award for writing LA CAGE, but this will be his first time appearing in the show. He will debut on Tuesday, February 15 at the Longacre Theatre (220 West 48th Street) for a limited run of 12 weeks only. Fierstein’s co-star will be announced soon.